Picking the right platform for your online store is a critical first step. And with all of the options out there, it can be a difficult decision. To make your decision-making process a little easier, we’ve compiled five of our favorite things about Shopify. Creating and maintaining a professional storefront can be a tremendous amount of work. While larger companies may have a small army of workers that specialize in IT and web development, this task falls solely on the shoulders of new shop owners. Here’s where Shopify excels. With it, getting up and running quickly is easy. Simply pick a template, customize it to your heart’s content, load your products, and you're ready to go. Product management is equally easy and powerful with batch editing functionality. Shopify also takes care of all the server management tasks so you can focus on your products and customers, not CPUs and ethernet cables. 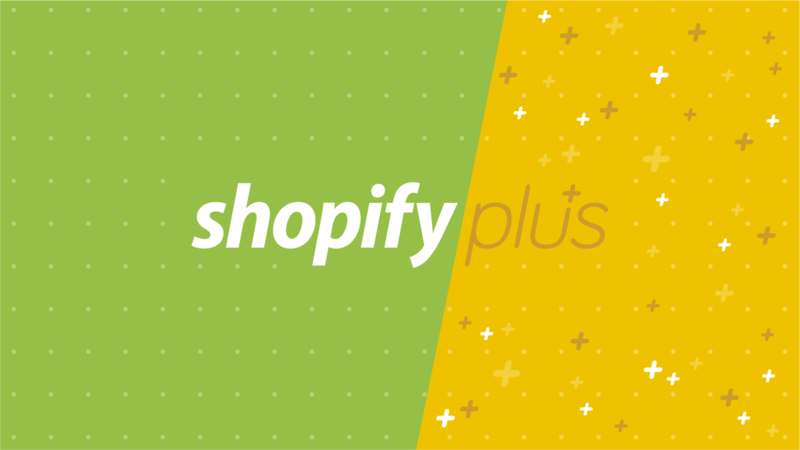 With Shopify, you're ready to start taking orders in minutes, not weeks or months. Inevitably, you're going to have a question regarding your store’s inner workings. Maybe it's something technical with your store; maybe it's about the latest SEO strategies; or maybe you just want to chat with a great group of people that understands you. The community reach for Shopify is beyond impressive. Developers worldwide are quick to help answer any question tagged “shopify” over at StackOverflow. Avid Twitter user...? The company has itsown account, and there's the Dev & API Twitter account, too. But did you know their staff are active users too? Founders and CEO included! Want more? Try the wiki or Knowledge Base for how-to style articles or jump into the discussions on their forum. There's always that warm, fuzzy feeling when you support others' good deeds. Shopify is one of those few companies that gives back in ways people love. The million dollar Developer Fund supports third-party development of features and utilities for Shopify. For those developers and small businesses with a great new idea, Shopify is ready to give you the boost needed to make it a reality. There are fewer things developers love more than free code. Shopify regularly open sources key parts of their infrastructure under the MIT license. In their GitHub account, you'll find great contributions like Liquid, Active Merchant and Batman.js. Have a store that’s a non-profit or charity and purse strings are tight? Not a problem. Shopify offers special rates just for you. Gotta love that! While Shopify comes loaded with lots of great features out of the box, they also realize the power of others to add to their ecosystem through APIs. The App Store has an incredible library waiting for you. Beetailer lets you extend your store in Facebook so users can discover, comment, share and purchase items. Giftery add gift registries and wish lists to your store with ease. PluginSEO helps you identify problems that affect your store's ranking on search engines to improve search-engine optimization. Curebit make it easy for your customers to refer you to their friends. Be sure to cruise the App Store for a full listing. Sure, that big 800-pound gorilla platform can manage everything on the space shuttle down to the screws, but it costs a fortune. And, building custom cart software from scratch is even more daunting! Since Shopify is a hosted solution, you won't need to worry about server setup, software upgrades, or even managing SSL certificates. Their team has been trusted by over 30,000 merchants, just like you, to handle all of the complicated technology needed to get you up and selling on the Internet. Plans start at just $29 per month + a 2% transaction fee and all of them include a free 30-day trial. Easy-peasy! Try it out and experience everything there is to love about Shopify for yourself.